Manual marketing business, fast fashion, convenience stores and giant shopping malls plague the landscape. Shops with originality have all disappeared with knowledgeable enthusiastic sales staff. They are all replaced by faceless robots who just repeat their routine work. With them, sense of beauty and passion for good taste are all lost. Gone are the talents who can tell what is good and beautiful. On the other hand…we know there are ‘’maniacs’’ who cannot help seeing charm and beauty in useless, hard to find, rare and pricey, bulky and inconvenient stuff. We are launching a fanzine titled HENOHENOMOHEJI-PRESS for those maniacs who don’t give a damn to the mainstream rubbish culture. It is an antithesis to the dominant depressing cultural landscape. Our zine is aimed to record the passion, attitudes and values of the fringe maniacs, just like you. Our first issue features quirky love for cassette tapes and boom box. 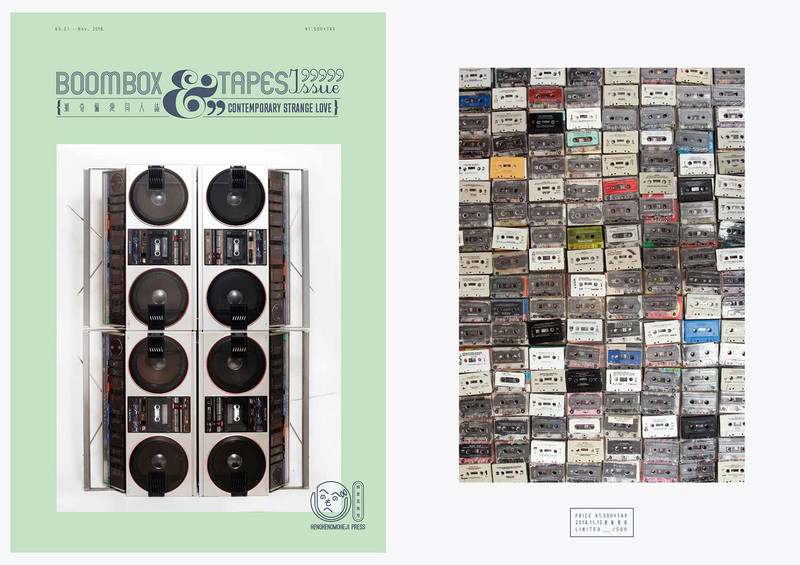 Play your favorite compilation tape on your boom box to get the max out of the zine! As they say in Spain, our motto is ‘’an elegant life is the best revenge’’.